Moving within the Wilkes-Barre/Scranton area can be difficult unless you have the skill and experience of a professional Moving company. Bekins Moving Solutions gets you moved with exceptional moving services for both homeowners and businesses. 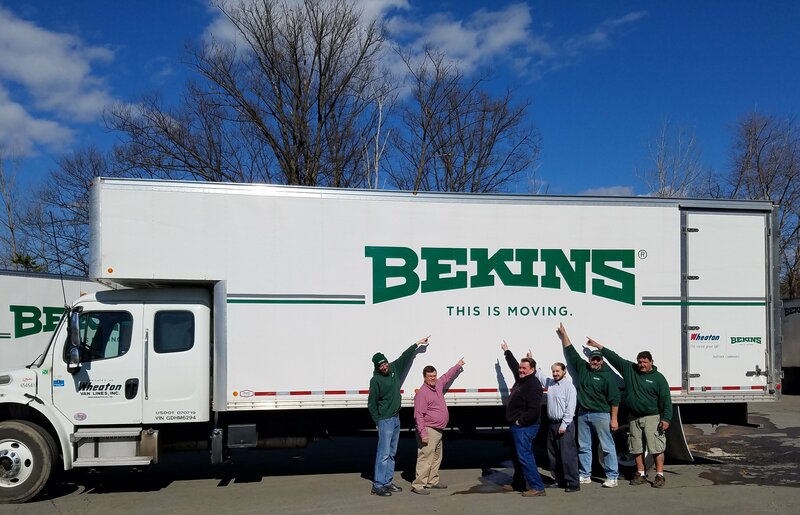 Whether you need local moving services or long-distance, Bekins Moving Solutions is there to help you plan it all in the Wilkes Barre / Scranton area. All of our professional movers are thoroughly trained in proper packing, loading, and unloading techniques. Everything is guaranteed to reach your destination in pristine condition. Our staff is always professional, courteous, and ready to assist you in your move. Everyone here at Bekins Moving Solutions knows that moving can be stressful, so make the right choice and let us help you get moved. Call our office today for a full list of our commercial and residential moving services. Bekins Moving Solutions is the most experienced mover around. We’ve been moving families and businesses across state lines since 1936! On top of that, we are an agent of Bekins Van Lines, which has been in the moving business since 1891, giving us double the professional moving experience. Our moving crews are ProMover certified and specially trained to provide high quality, stress-free moving. To top it off, we even offer various transit protection options, giving you that much more security during your move. Finding local moving companies with quality is difficult and we are here to make the decision easy with our great experience and moving services. What moving services do you provide? If you need it to move, chances are we provide it. You can hire us to not only move you, but to professionally pack all your belongings as well. We can even provide any moving supplies you may need. If you are still in the process of selling your home, we offer a service called Clear the Clutter, where we will pack some of your items and store them in our warehouse. A clean, decluttered home often sells faster, so this can be a great benefit. You don’t even need to be moving to take advantage of our storage services! You can store any items with us for the short or long term. What happens to my items in storage? After the items have been properly packed, we load them into one of our secure vaults and place it in our warehouse. We have state of the art security, heating and cooling to keep everything safe for as long as your need to leave it with us. Just like moving, you can hire us to pack the items you need stored or you can pack them yourself. What do you do to protect my property during transport? If you’ve ever tried to pack a moving van before, you know the experience can feel like a very stressful game of Tetris. But our team of professionals has figured out the trick to the game. After moving people every day for years, we know exactly how to organize your items in the moving truck to prevent anything from moving too much or getting crushed. If you want more protection, you can hire us to pack for you. Another form of protection you may want to look into is valuation. We offer various valuation packages that cover the repair, replacement or replacement cost of any item that is accidentally damaged. Call our office for more information about specific plans. Get moved with our movers in Wilkes-Barre and Scranton. Contact Bekins Moving Solutions today. Call 570-793-2193 or get your moving questions answered on our FAQ page!